Eyeliner is my go-to “need to look awake” makeup item. 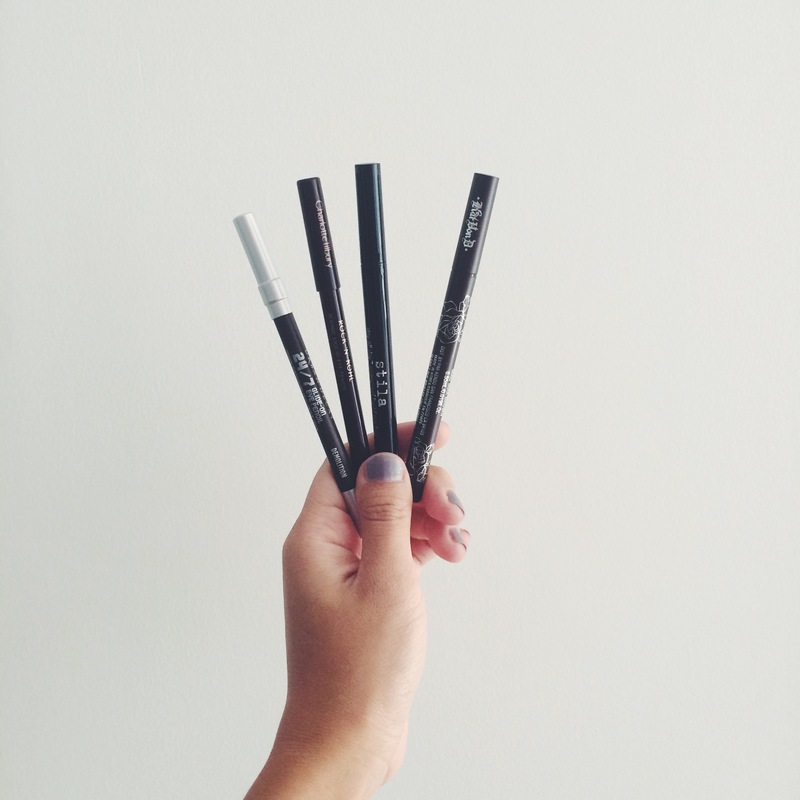 It goes hand in hand with brow pencils to help me look more put together (though if I have to choose one I’d still go with the brow pencil because one simply cannot live without brows). I used to only use the kohl/pencil form eyeliner as it was easier for me to control and do my makeup quickly, but recently I’ve grown to love liquid eyeliner as they won’t transfer to the top of my lids. 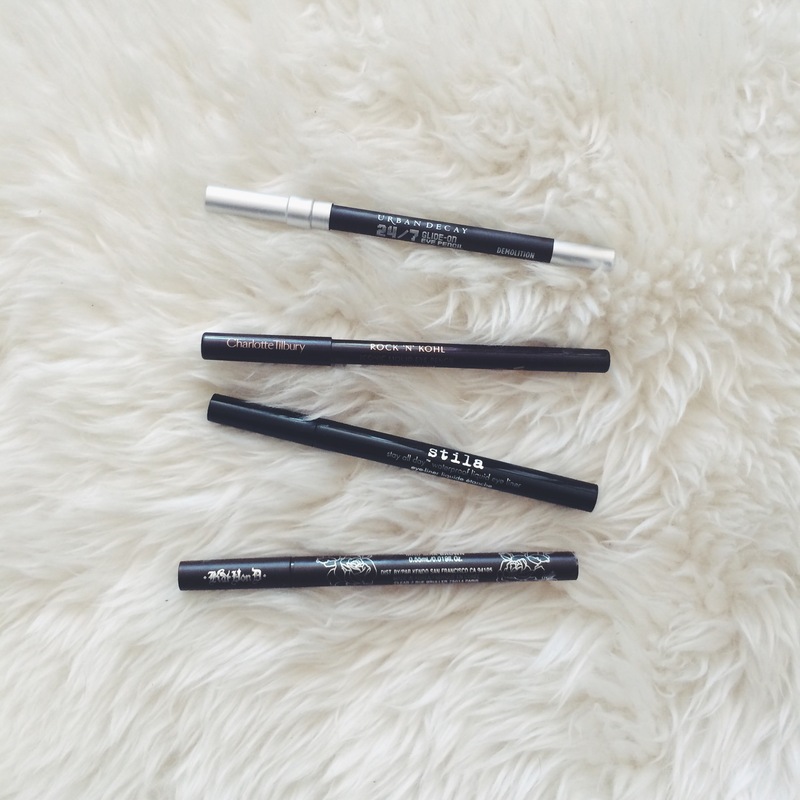 The Urban Decay 24/7 Glide-On Eye Pencil is one of the first non drugstore liner I purchased for myself, and it does a great job when I want a quick swipe over my lids. I did however find it will transfer overtime and get a little muddy around the corner of my eyes. So after a few times of using it I decide to give the Charlotte Tilbury Rock n Kohl Iconic Liquid Eye Pencil a try to see if this is true for all pencil form eyeliners. I was very intrigued by the name “Liquid Eye Pencil” and had high hopes for it having the lasting power of a liquid eyeliner. After a few tries I do find it has a longer lasting power and doesn’t transfer as much, though it’s still not perfect. After trying out 2 pencils from two great brands and not finding the perfect solution, I decided to give the liquid liner a try. 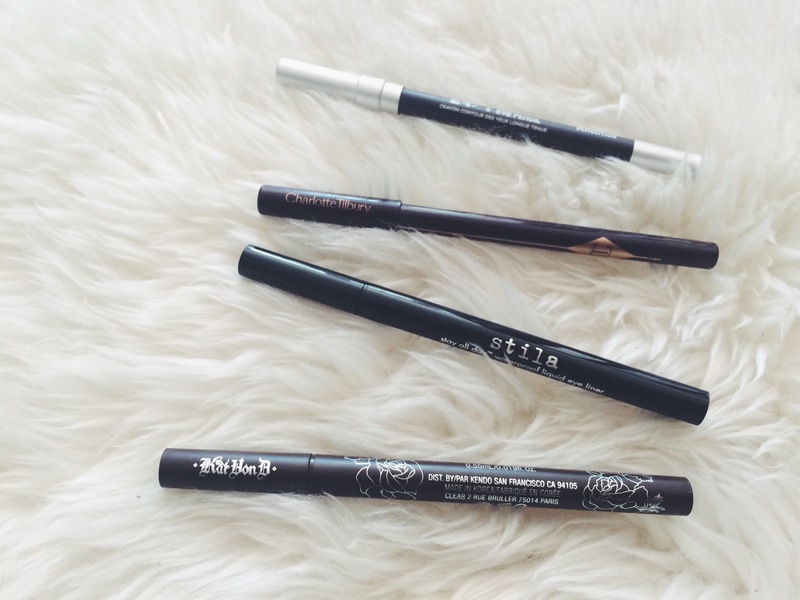 I first purchased the Stila Stay All Day Waterproof Liquid Eye Liner and was immediately in love with it! I love the lasting power and how it does not budge throughout the day, even though it takes me longer to apply. The waterproof aspect of it definitely helped with the lasting power and I really enjoyed using it, though at the very end I find the tip can get a little clogged up by eyeshadow. So after my first Stila Liquid Eye Liner dried out, I decided to give the Kat Von D Tattoo Liner a try as it was raved about by many bloggers and some has mentioned since it has a brush tip, it does not get clogged up as badly as the felt tip ones. I do find the tip stays more clean on the Kat Von D liner, but I have yet to decide which formula I like more between Stila and Kat Von D. So far I think Kat Von D has a better applicator, but Stila has a leg up formula wise on the brown color.